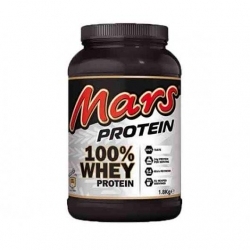 The new product by Mars Inc is a 100% Whey protein powder that has all the flavour of the traditional mars bar but is made using three different forms of whey protein. The nutrition breakdown of Mars Protein per serving, is 24g of protein from a blend of whey concentrate, isolate, and hydrolyzed whey isolate. 4g of carbohydrates with 2.5g of that sugar, 2.6g of fat (0.9g saturated), for a total of 135 calories. The taste of the Mars Whey Protein is extremely good. If you like the Mars Protein Bar you will really enjoy this. Furthermore, it has low calories per serving and contains BCAA's which are ideal for muscle building and maintenance. With 24g of protein per serving, it also delivers a substantial protein kick that will help you hit your daily macros. This product is perfect for you if you don't like conventional tasting protein shakes and usually find them too thin. 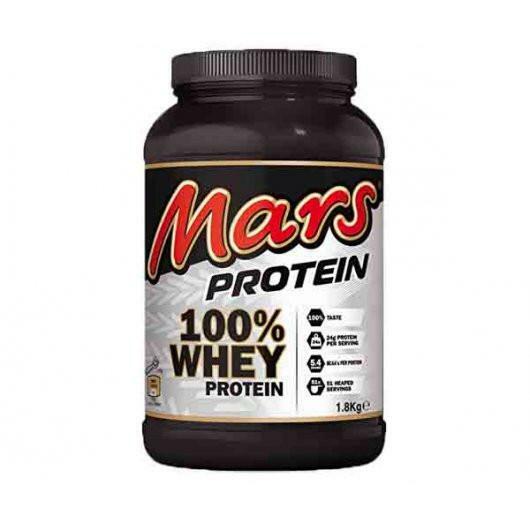 Mars Whey Protein has a nice thick consistency. Container Size: 1800g Serving Size: 2 scoops (35g) Servings Per Container: 51 Total Calories: 135kcal Protein: 23.6g Total Carbohydrates: 4.0g -Sugars: 2.5g -Dietary Fibre: g Fat: 2.6g -Saturates: 0.9g Salt: 0.34g Ingredients: Ingredients: Protein Blend (83%) (Whey Protein Concentrate (Milk), Whey Protein Isolate (Milk), Hydrolysed Whey Protein Isolate (Milk), Emulsifier (Soya Lecithin)), Sunflower Oil Powder (Milk), Fat-Reduced Cocoa Powder, Flavourings, Barley Malt Extract, Thickeners (Sodium Carboxymethyl Cellulose, Xanthan Gum, Carrageenan), Salt, Sweetener (Sucralose). May also contain Gluten, Egg, Peanuts, Almonds, Hazelnuts and Pecans. Suitable for vegetarians. Mix 1 rounded scoop (35g) in 200ml cold water.